One of the most challenging decisions an engaged couple has to make is where to get married. There are so many gorgeous areas across the USA that make the perfect backdrop for the start to a new life together. With 50 states to choose from, however, deciding which one is the best fit for your big day, could take some time. If you’re not sure where you’d like to get hitched, this post is for you. Below are some of the best places in the country to say I do. 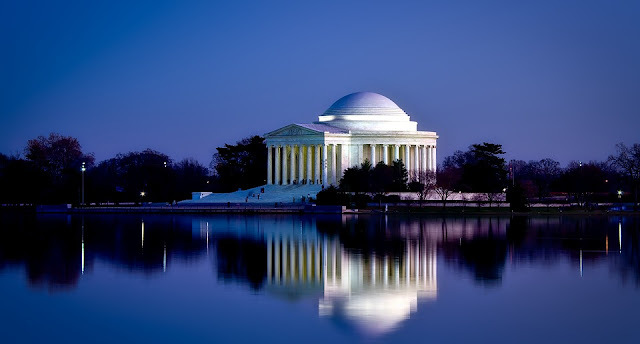 What better way to kick off this list then to start with the nation’s capital? The Dumbarton House in Washington DC is the perfect place for a wedding. Built in the 1800s, this building is filled with beautiful architecture throughout and surrounded by some of the most beautiful landscapes and gardens for romantic wedding photos you won’t soon forget. You can easily book limo service in washington dc for the bridal party from a nearby hotel and show up to your wedding venue in style. Didn’t know you could have the Grand Canyon as a choice of wedding venues? Well, believe it or not, weddings are hosted there all the time by the National Park Service. While the area only holds enough room for about 85 guests, this is the perfect environment for a small intimate wedding ceremony to take place. What makes a wedding reception more special than great food and drinks? Well, if you were to get married in Napa Valley, CA, you’d have the best of both worlds. Not only is this destination littered with some of the states most picturesque vineyards, but they have some of the freshest produce and delectable wines to appeal to your guests. If you love great food, good music, and a good time then The Big Easy is the perfect spot to consider getting married in. The Degas House is an 1800 mansion/museum that is absolutely stunning and a popular place for weddings. With a room large enough to accommodate 250 guests and a full jazz band, there are surely some good times to be had here. This is just the tip of the iceberg when it comes to the best wedding destinations in the US. There are so many popular venues and hidden gems nationwide. Take your time in choosing a destination that accommodates your personal interests, budgets, and guests.